РЎРµСЂР»РёРЅРі, (Р­РґРІР°СЂРґ) Р РѕРґ(РјР°РЅ) (Serling, [Edward] Rod[man]) (25 РґРµРєР°Р±СЂСЏ 1924, РЎРёСЂР°РєСѓР·С‹, РќСЊСЋ-Р™РѕСЂРє [Siracuse, N.Y.] - 28 РёСЋРЅСЏ 1975) - Р°РјРµСЂРёРєР°РЅСЃРєРёР№ РїРёСЃР°С‚РµР»СЊ-С„Р°РЅС‚Р°СЃС‚. РЈС‡Р°СЃС‚РЅРёРє Р’С‚РѕСЂРѕР№ РјРёСЂРѕРІРѕР№ РІРѕР№РЅС‹, Р±С‹Р» РїР°СЂР°С€СЋС‚РёСЃС‚РѕРј РЅР° РўРёС…РѕРј РѕРєРµР°РЅРµ СЃ 1943. РџРѕСЃР»Рµ СЃР»СѓР¶Р±С‹ РІРѕСЃРїРѕР»СЊР·РѕРІР°Р»СЃСЏ Р»СЊРіРѕС‚Р°РјРё РґР»СЏ РІРѕРµРЅРЅРѕСЃР»СѓР¶Р°С‰РёС… Рё РѕРєРѕРЅС‡РёР» Antioch College, B.A. (1950). РџРёСЃР°Р» СЃС†РµРЅР°СЂРёРё СЂР°РґРёРѕРїРѕСЃС‚Р°РЅРѕРІРѕРє. Р—РЅР°РјРµРЅРёС‚Р°СЏ С‚РµР»РµРІРёР·РёРѕРЅРЅР°СЏ СЃРµСЂРёСЏ "РЎСѓРјРµСЂРµС‡РЅР°СЏ Р·РѕРЅР°" РЅР°С‡Р°Р»Р°СЃСЊ РЅР° CBS РѕСЃРµРЅСЊСЋ 1959 Рё РїСЂРѕРґРѕР»Р¶Р°Р»Р°СЃСЊ С‡РµС‚С‹СЂРµ СЃРµР·РѕРЅР°. РџСЂРµРјРёСЏ РҐСЊСЋРіРѕ РІ 1960, 1961, 1962 Р·Р° Р»СѓС‡С€СѓСЋ РїРѕСЃС‚Р°РЅРѕРІРєСѓ. РњРѕР¶РЅРѕ РґРѕР№С‚Рё РїРµС€РєРѕРј: Р¤ СЂР°СЃСЃРєР°Р· /РџРµСЂ. СЃ Р°РЅРіР». Р•. РљСѓР±РёС‡РµРІР°; Р�Р»Р». Рђ. Р‘Р°Р±Р°РЅРѕРІСЃРєРѕРіРѕ ///Р�СЃРєР°С‚РµР»СЊ, 1968. в„– 6. РЎ. 76-101. РЈР±РµР¶РёС‰Рµ /РџРµСЂ. СЃ Р°РЅРіР». Р . Р С‹Р±Р°РєРѕРІР°; Р�Р»Р». Р’. РљСЂР°СЃРЅРѕРІСЃРєРѕРіРѕ //Р›Р , 1973. в„– 7 (527), 16 С„РµРІСЂ. РЎ. 21-23. [Р‘.Р°.] 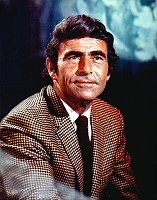 Serling, Edward Rodman //Р‘РёР±Р»РёРѕРіСЂР°С„РёСЏ С„Р°РЅС‚Р°СЃС‚РёРєРё. - Рњ. : РљРµР»РІРѕСЂРё, 1996. РЎ. 399. Р’Р».Р“. РЎРµСЂР»РёРЅРі, (Р­РґРІР°СЂРґ) Р РѕРґ(РјР°РЅ) //Р­РЅС†РёРєР»РѕРїРµРґРёСЏ С„Р°РЅС‚Р°СЃС‚РёРєРё /РџРѕРґ СЂРµРґ. Р’Р». Р“Р°РєРѕРІР°. - Рњ. : РћРћРћ "РњРµР¶РґСѓРЅР°СЂРѕРґРЅС‹Р№ С†РµРЅС‚СЂ С„Р°РЅС‚Р°СЃС‚РёРєРё", 1997. CD-ROM (HTML). [Р‘.Р°.] Serling, Rod(man) //Tuck D.H., compl. The Encyclopedia of Science Fiction and Fantasy. Through 1968. Vol. 2. - Chicago: Advent, 1978. P. 383-384. Ash B. Rod Serling //Ash B. Who Is Who in Science Fiction. - Lnd. : Elm Tree Books, 1976. P. 176. [JB] Serling, Rod //The Encyclopedia of Science Fiction. - Lnd. : Granada, 1981. P. 536. [JB/PN] Serling, Rod //The Encyclopedia of Science Fiction. - N.Y.: St.Martin's Press, 1993. P. 1086-1087. [JB/PN] Serling, Rod //The Multimedia Encyclopedia of Science Fiction. Ver. 1.0. - Danbury, CT: Grolier Electronic Publishing, Inc., 1995. [JC] Serling, Rod //The Encyclopedia of Fantasy. - N.Y.: St. Martin's Griffin, 1999. P. 851.